A weekend of classic and vintage music will help to ensure that summer is in 'full swing' when bandstand concerts take place in the grounds of Tamworth Castle in July. 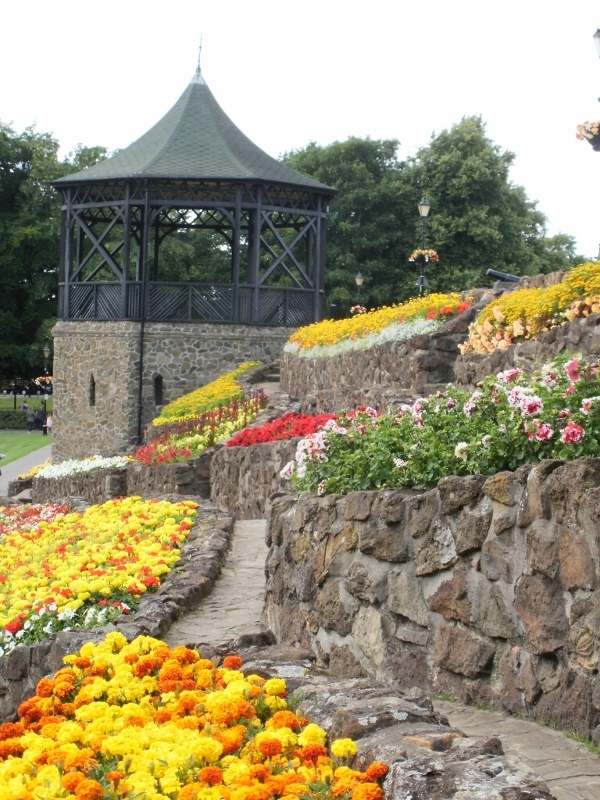 Two favourite Tamworth groups will be performing a feast of enjoyable tunes from within the Castle Grounds bandstand as part of the Music Outside summer programme of free concerts. The weekend feast starts on Saturday 22 July when people are invited to enjoy an afternoon listening to the sounds of brass band music at its best. Amington Band has performed at the Castle Grounds regularly since 1917, entertaining audiences for exactly a century with their mixture of popular and classical band music. 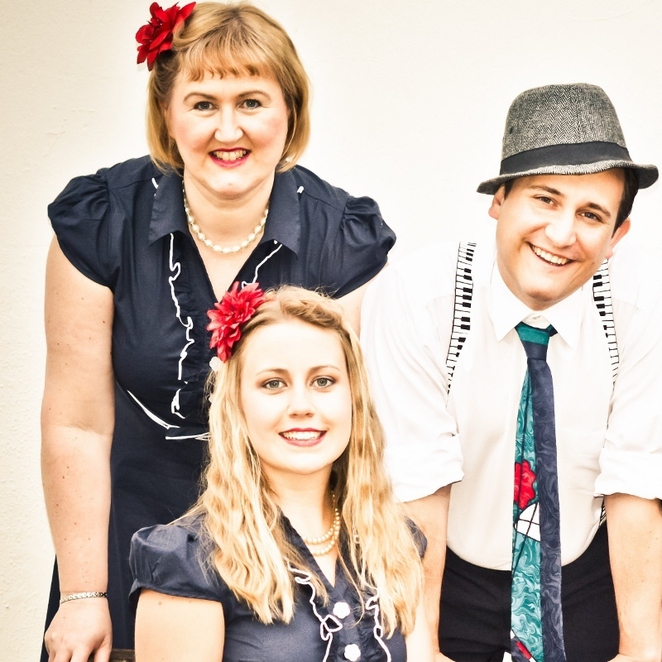 And then on Sunday 23 July it is the turn of Tamworth vintage vocal group The Jays Vintage and Andy B Goode who will be taking audiences back to the golden era of the 1940s and '50s. Councillor Joy Goodall, Tamworth Borough Council's Cabinet member for Environment and Culture, said: "Amington Band is a firm favourite at the bandstand. The 100-year anniversary of the band will make their performance even more special this year, while The Jays Vintage and Andy B Goode have become popular with the residents of Tamworth and always put on a toe tapping performance. The Bandstand Concerts are continuing throughout the summer with a range of performances to suit all tastes and we hope to see lots of people taking up the opportunity to enjoy a relaxing afternoon of live entertainment in the park." 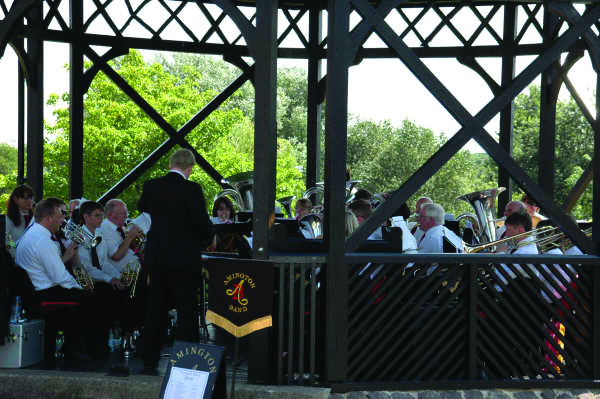 Amington Band will take to the bandstand at regular intervals between 12pm and 3pm on Saturday 22 July. Speaking on behalf of Amington Band Committee, Steph Morris, said: "We're so proud to have reached our 100th anniversary. It's a really special time for us as current players but also for those who have played with us in the past - to see something you love get so far and continue to strive is just amazing. Our centenary concert went down so well last week and brought together so many old friends of the band. Our centenary celebrations continue at Tamworth Bandstand this weekend where we hope to see many more friendly faces, both old friends and new." Amington Band will be followed by The Jays Vintage and Andy B Goode who are a three piece Midland group that entertain and excite audiences with their vintage vocals. They recently performed at the National Memorial Arboretum in Alrewas for a vintage day and tea dance and were joined by professional lindy hop dancers 'Red and Ginger' who led the dancing in Hero's square. They will be performing between 12pm and 4pm. Songs will include hits made famous by the likes of the Andrew Sisters, Frank Sinatra, Chuck Berry and Cliff Richard. The packed programme of summer concerts from the Bandstand, sponsored by Ankerside Shopping Centre in Tamworth, continues through to September 2. Organised by Tamworth Borough Council's Arts and Events team, the entertainment will provide the perfect setting to an enjoyable summer afternoon for all tastes. Visit online for more information.